We are involved in providing Daucus Carotas to our clients. It is also known as wild carrot and Queen Anne's lace. This must be one of the most underrated essential oils in aromatherapy. These are popular among our clients because of its superior medicinal qualities. We are a top-notch organization, engaged in providing Carrot Extract. Description: Off -Orange colored Free flowing powder, Retain all its nutrition values does not contain any chemical preservative. 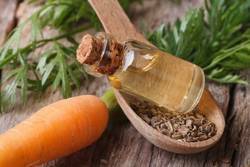 Carrot Extract available in water soluble and oil soluble form. 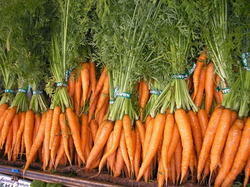 Carrot Extract: Carrot Extract is high in vitamins A and E and beta carotene. It is an anti-inflammatory, soothing chapped and uncomfortable skin. It is thought to bring balance to the moisture in both skin and hair as a conditioning agent.